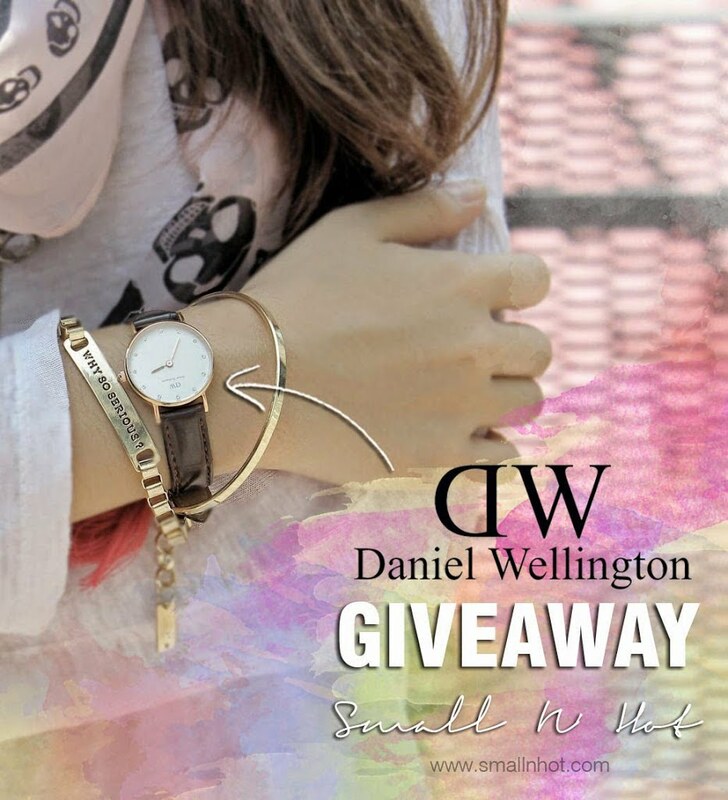 Proceed to Small N’ Hot’s Daniel Wellington Watch Giveaway. Answer this simple question – Which Daniel Wellington watch would you like to win? (You can check Daniel Wellington‘s website to have a glimpse of all the watches before you decide which one you’d prefer to win). You have to leave your answer in the Small N’ Hot’s Daniel Wellington Watch Giveaway‘s comment box (it’s at the bottom of the page… scroll scroll scroll, darlings). Complete the Rafflecopter form which you can see at Small N’ Hot’s Daniel Wellington Watch Giveaway. Don’t forget to tag your friends on Facebook, too! The international giveaway starts from 10 August until 20 August 2014 (11:59pm), and only ONE (1) winner will be selected randomly via Random.org. The winner will be announced on 25 August 2014 in Small N’ Hot.